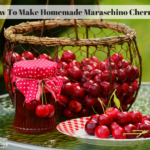 These homemade maraschino cherries are delicious and easy to make. It does take three days to make them but most of that time is spent allowing them to soak. On day one you brine them and on day two you put them in the sugary syrup that turns the sweet cherries into the maraschino cherries. Day three is spent doing the actual canning of the cherries. This recipe takes a total of seven different ingredients – sweet cherries, pickling salt, water, sugar, lemon juice, vanilla extract and almond extract. After making these for the first time I decided that the homemade ones taste much better than the store bought ones. This recipe calls for 1 pound of sweet cherries. You can buy sweet cherries at the store if you do not grow them or know of someone who does grow them. 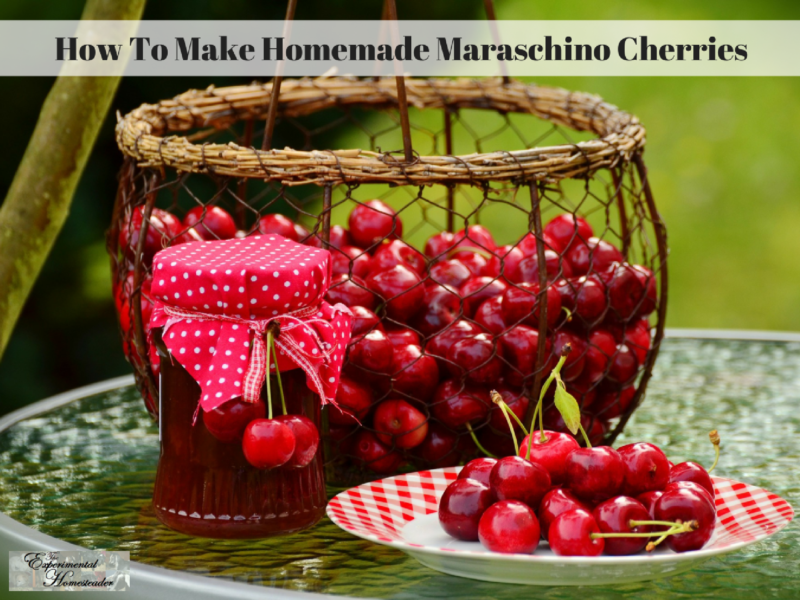 Below are tips for sterilizing and packing canning jars plus my maraschino cherry recipe. 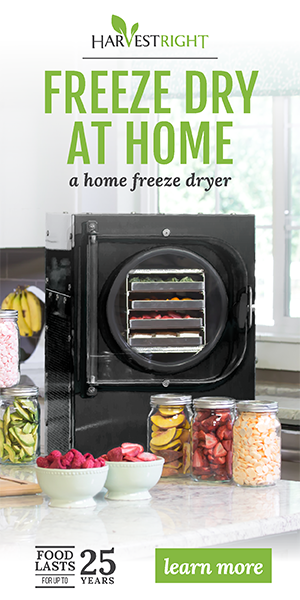 Be sure to wash the cherries well and pit the cherries before you begin. This is the one step that takes the longest in my opinion. I always pit my cherries by hand so I can check for worms or other issues with the cherries that I might not see if I used a cherry pitter. Pit one pound of sweet cherries. Make a brine out of 1 pint water and ¼ tablespoon pickling salt. Bring this to a boil so salt will dissolve. Allow to cool for ten minutes, then pour over the cherries. Drain and rinse the cherries. Combine 1 pound of sugar, ¾ cup water and ¼ teaspoon lemon juice. Bring this to a boil and continue boiling until the sugar dissolves. Pour it over the drained cherries and let stand for 24 hours covered. Drain the cherries taking care to save the juice. Pack the cherries into 4 ounce or half pint canning jars. Bring the juice to a boil, then remove from heat. Add 1/8 ounce almond extract and 1/8 ounce homemade vanilla extract to the juice then stir well to combine. Pour the juice over the cherries. Wipe jar rims, put lids and bands on making sure they are fingertip tight. Process for twenty minutes in a cold pack canner, remove and tighten lids. When the jars are completely cool, remove the bands and check the lids to make sure they are sealed.To check the lids, simply try to lift them up with your fingers. If they come off, set the food in the refrigerator and eat it within a week. If they do not come off, the cans are sealed. Replace the band and store in a cool, dark place. For those who are new to canning – or simply need a refresher on what to do, I wanted to share this video I made on how to sterilize and pack canning jars. I used green beans for the tutorial, but the method works for any product you are canning. Be sure to double check how much head space to leave above whatever you are canning as it does vary. Packing the jars as tightly as possible is super important as is making sure the air bubbles trapped between the food in the jar and the liquid are released. Cleanliness is important as you do not want bacteria or non-food stuff to end up in your jars as it could cause spoilage.